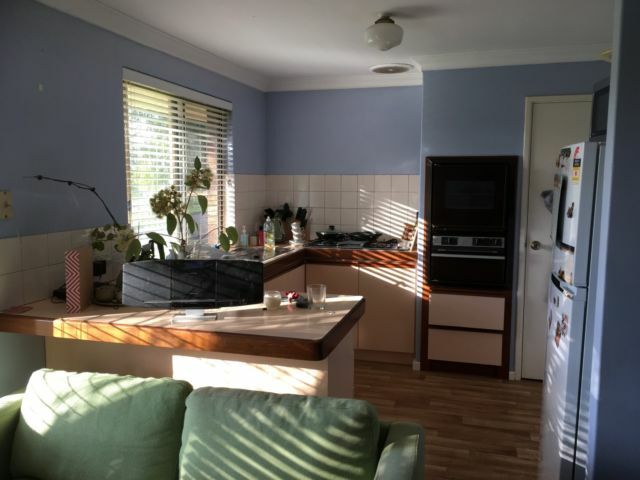 2 furnished rooms are available to rent in a beautiful spacious large home in Main Arm 9km from Mullumbimby. The house is situated high with veiws east to the ocean and west with spectacular view of Main Arm Valley. The house is part of a multiple occupancy on a 100 acres. There are no water or electricity bills as we are off the grid. It is a very quiet property. The lounge room is large and open planned with great views. An all wheel drive is best for this area. 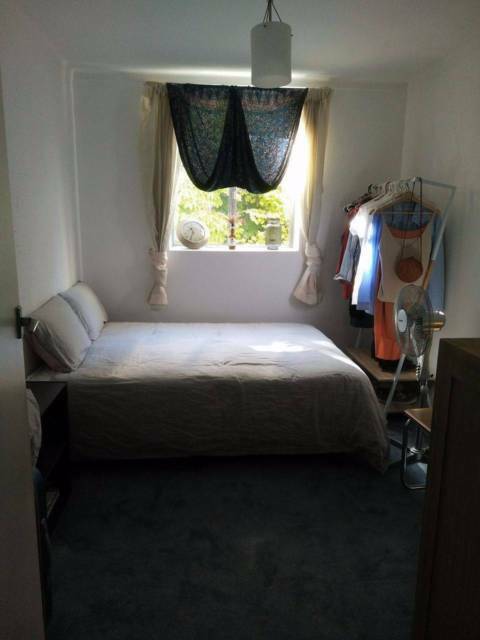 Bedroom available in share house for single person. East Tyagarah, great tranquil semi-rural location only 12 mins from Byron on a good day :) and 10 mins from Mullum or Brunswick Heads. Also local beach and tea tree lake nearby. Lovely, furnished substantial architect designed house. Bedroom is fully furnished with new super comfy king size resort bed, two nightstands, tallboy chest of drawers, wardrobe and blanket box. 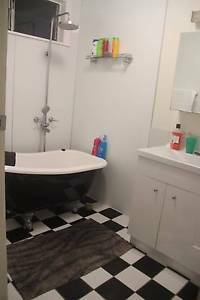 Share house with two other chilled out creative males – one is in reclusive main bedroom with own ensuite, so would be sharing a large bathroom with glass frame shower and bathtub and separate WC/toilet room with only one other person. The house is well appointed and fully furnished, the living/dining/kitchen wing is spacious and open plan, hardwood timber floor with front and rear covered balconies and 4.5m steeple ceilings, gas Caesarstone kitchen, electric oven, walk in pantry. Also a very cute, friendly female dog lives here; other pets may be difficult as there are no fences/gates. 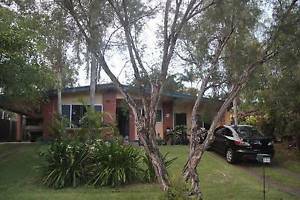 ","House is set on level acre with front and rear lawn and flowering gardens/trees on a quiet no through lane, views from front of house across bushland to Byron Bay, Cape Byron and the lighthouse, Wategoes etc. 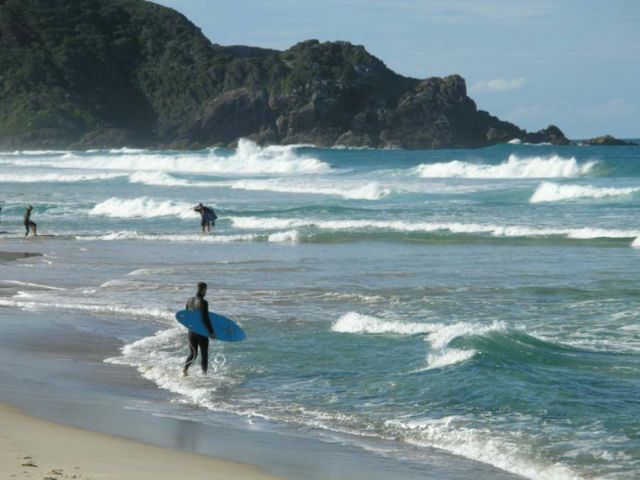 Due to elevated coastal position always receives cooling sea breeze through summer, often 6 to 8 degrees cooler than Mullumbimby. Non-smoking house but no problem to smoke on verandahs. Quiet neighbourhood, so not a loud party house though we enjoy music and the odd drink. Lovely country lane walks and nearby bush trails in the nature reserve. 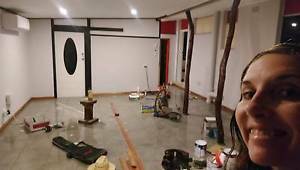 ","Room is $260 per week inc bills but I cannot supply internet as the trees block the NBN so can't get unlimited. There's very good mobile 4G internet reception, use smartphone as hotspot or Virgin do a deal with 4G pocket WiFi hotspot: 12GB per month for $40. Two weeks bond plus two weeks rent in advance; please no exchange for labour. Please call Piers on ******** 550 + click to reveal – room is available from February 28th. Room up for rent in Bangalow. We are looking for a female/male to move in with us –","From previous experiences","We are a chilled, but VERY clean and like to keep our household immaculate. We all have full-time jobs so mid-week parties isn’t something we’d want, but partial to a few drinks on a work nightis fine..! We have 2 cheeky English blue staffys, well behaved but occasionally likes to chew valuables left on their way, but adorable, tolerant and chilled dogs who love to be cuddled. ","The house is big and open with a verandah/out door area with a massive backyard with lovely garden surroundings..","All external jobs & maintenance is looked after weekly by us so we would only expect you to help weekly with keeping the interior of house nice and clean. ","The house is fully furnished, There is a fire place to keep warm and cosy during winter & The toilet, shower and vanity are all separate as well. ","The bedroom for rent comes with built in wardrobes/ceiling fan and is unfurnished","There is also parking down driveway so you wont have to park on street. ","There will be no pets allowed as 2 dogs is enough.